HomeUncategorized Losing Weight Weight Loss Weight Loss Diet Can Drinking Water Help You Lose Weight? Water may be your secret weapon in losing weight. Inexpensive and available in most areas, water usually has a pleasant taste and is free from aftertaste. 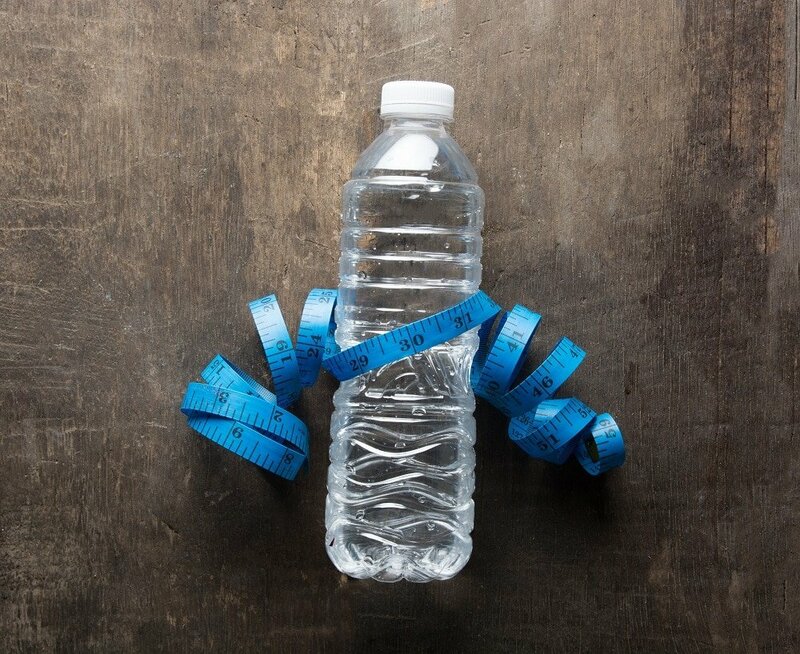 Water can help you lose weight in unexpected ways. Better yet, combine drinking water with our weight loss program for even better results. Here are a few of the ways drinking extra water can help you burn fat and trim your waistline. When you have eaten enough food, your stomach signals your brain to stop eating. Water takes up space in your stomach, thereby fooling your stomach into thinking it is full. In a 2014 study, 50 overweight females drank 500 mL (16.9 ounces) of water 30 minutes before breakfast, lunch and dinner in addition to their normal water consumption for 8 consecutive weeks. By the end of the study, all of the women had lost body weight, body fat, and body mass index (BMI). The participants also said that drinking water had suppressed their appetites. Your body tells you when it needs more food or water. You feel hungry when your body needs food, of course, and you feel thirsty when your body needs water. When you don’t drink enough water, though, your body can send mixed signals about whether it is hungry or thirsty. In other words, you might feel hungry when your body is actually in need of water. Because of this, drinking a glass of water can often satisfy feelings of hunger and actually curb snacking. Medical News Today says that water might temporarily increase the number of calories you burn while resting, also known as resting energy expenditure. Medical News Today also cites a study in which the 12 participants drank 500 mL of cold and room temperature water, and then burned 2 to 3 percent more calories in the 90 minutes after they drank the water. Researchers are still working to determine what benefits, if any, drinking cold water may have over drinking room temperature water when it comes to losing weight. Water helps keep stool soft enough to move through your digestive tract at the proper rate. When you don’t drink enough water, you can become constipated. Constipation can cause bloating and inflammation that can add inches to your waistline. Constipation can also leave you feeling too tired to exercise. Sugary beverages can contain a surprising number of calories. There is about 136 calories in a 12-ounce serving of cola, according to the Centers for Disease Control and Prevention (CDC). If you are like many people and drink a larger serving, you may be consuming even more calories. A 20-ounce serving of cola adds about 227 calories to your overall calorie intake for the day. Even otherwise-healthy beverages contain calories that can thwart your weight loss efforts. A 20-ounce serving of 100 percent apple juice contains about 300 calories, for example, while a 20-ounce serving of pure orange juice can contribute 280 calories. Water contains 0 calories, of course, so a glass of water does not increase your calorie intake. Every calorie counts when it comes to losing weight. A pound of fat represents about 3500 calories. This means you have to eat 3500 more calories than you burn to gain one pound of fat. Conversely, you have to burn 3500 more calories than you burn to lose a pound. The average woman must cut back to about 1500 calories a day to lose a pound of fat in a week, according to Healthline, and a man must cut back to 2000 calories daily to do the same. When trying to cut back to 1500 or 2000 calories per day, trading in a 300-calorie glass of juice for a 0-calorie glass of water can help you lose weight. Your body uses water to metabolize stored fat and carbohydrates. Water molecules interact with fats to create glycerol and fatty acids, which your body then burns as energy. Scientists refer to this process as lipolysis. Research associates increased water consumption with increased lipolysis and loss of fat in lab animals. Exercise is an essential part of any weight loss strategy, as physical activity burns calories. Water helps muscles, joints and connective tissue function properly, so that you can move freely and without pain or stiffness. Water also helps your lungs, heart and other organs work as you exercise. Hydration with water reduces muscle cramps and fatigue that get in the way of your fat-burning exercise. Water is an important part of any diet plan and can help you lose more weight without feeling hungry. For more information on the importance of water in your weight loss strategy, or to learn how to optimize the results of your weight loss diet, consult with Tampa’s Top Weight Loss Progra. Thanks so much Dr. Urshan. I have found all this information on water to be true in my weight loss. We appreciate you sharing this important info. How much does it cost to get started.